Never again worry about random tears in your clothes with this amazing safety pin pack. 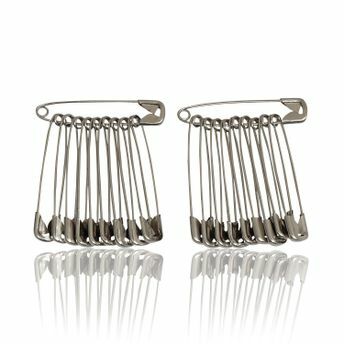 Kaiv Safety Pin is commonly used to fasten pieces of fabric or clothing together. Explore the entire range of Miscellaneous available on Nykaa. Shop more Kaiv products here.You can browse through the complete world of Kaiv Miscellaneous .